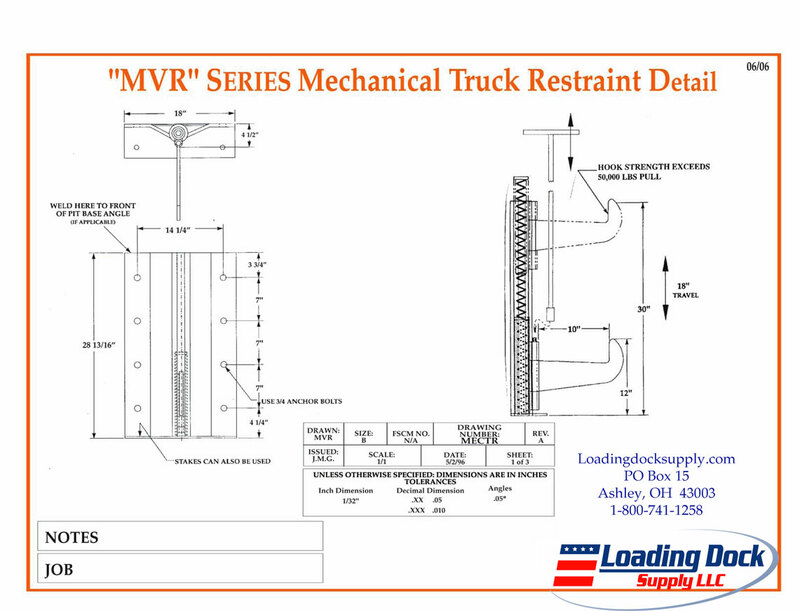 Restrain trailers from leaving the loading dock area before loading is completed with one of our manual (MVR) or electric dock locks (SLR950 or Lock & Load). Designed for the majority of dock systems, our dock locks operate as a stand alone operation or as an integrated system coupled with your pit leveler, locking trailers when the pit leveler is in use. Vehicle restraints also pair with stop and go lights to create an effective communication environment letting drivers know when the locks are in use. This reduces the wear and tear on both your equipment and the trailers utilizing the dock.